After a long week of work, start your weekend with a stress buster workshop. A process so simple yet with mind boggling outcome,an art process where you don't need to have any prior experience as a painter, just a little zeal and excitement is all what you need to attend this workshop. 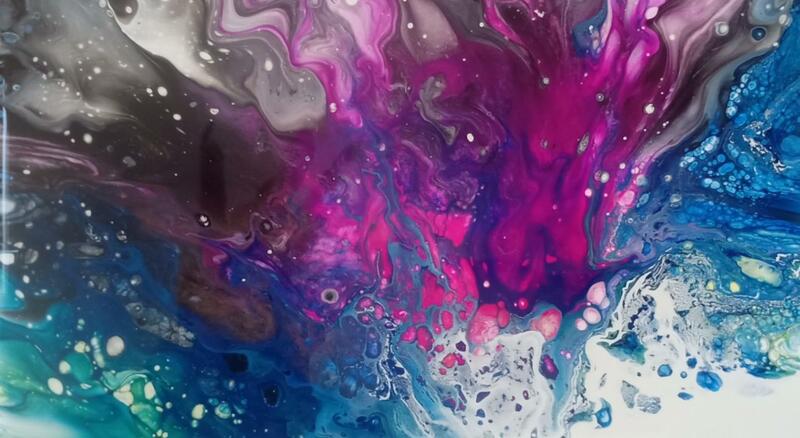 Fluid art is a process of creating abstract paintings using fluid colours. Come and witness the most amazing way of making your favourite colours interact with each other to give a masterpiece. We will be covering 2 different techniques on 2 different canvases in this 2.5 hrs workshop. The price includes all the supplies*. 1) Please come in clothes that like a little paint on them. 2)* Participants are requested to bring a hair drier along with them.